Stiffness, spasms, aches, shooting pain into your limbs and loss of sleep are all common problems associated with chronic back pain. Whether your back pain is a result of sports injury, car accident or stress, lower back pain is one of the most difficult conditions to live with on a daily basis. Though you may feel it different places, back pain can stem from spinal misalignment, subluxation resulting in muscle changes such as spasms or weakness. Whether the acute back pain you are experiencing is recent, or you've been suffering from chronic back pain for years, either can turn into severe back pain if allowed to progress and perhaps result in permanent changes to the body. 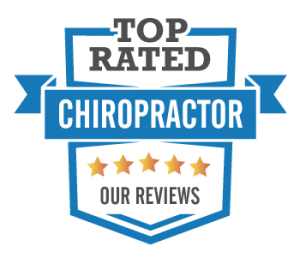 Dr. Eric is your Hampton Roads chiropractor who is ready to work hard to find the malfunctions in your body and discuss options for corrective therapy for back pain relief. By using manual and instrument chiropractic adjustments to restore motion to the restricted movement of bones of the spine, Dr. Eric will to help restore the proper flow of information through the nerves. At Achieve Chiropractic we look at both the bones and the soft tissue like muscles to find all the possible areas that can help get you quick and lasting results.